Worksoft, an SAP partner and leading global provider of Robotic Automation Software for mission-critical enterprise applications, announced tremendous growth in S/4HANA-driven sales of the Worksoft Certify automation platform for 2018. Currently, Worksoft is the industry’s leading continuous test automation platform for Enterprise Packaged Apps. SAP S/4HANA is the next generation intelligent ERP solution that delivers greater ROI, increases business agility and enables innovation with continuous support and accelerated updates. Analysts agree, 35,000 (85 percent) of current SAP ECC customers have plans already in place to make the shift to S/4HANA – the majority by 2025 – signifying migration to the new platform has begun to rapidly accelerate. The number of companies implementing S/4HANA in the first ten months of 2018 eclipsed the total number in the prior 29 months. According to both analysts and SAP, migrations will only continue to accelerate as customer adoption begins to reach critical mass. Customers who have begun to shift are discovering the acceleration introduced by S/4HANA enables agility and innovation but also requires a fundamental change in implementation and execution. Agile+DevOps adoption is the emerging approach gaining traction in the marketplace proven to accelerate and scale S/4HANA implementations. Once the shift-left adoption is complete, customers are quickly discovering automation is the key to success. “Test automation becomes a necessity … if you do this manually at some point you reach the maximum capacity of your workforce [team] and … spend the rest of your sprint testing” said Manual Hermoso Martinez, IT Application Senior Consultant for SAP Innovation Control Center. Automation of the new code, but also regression of the entire update, which happens quarterly in SAP S/4HANA, becomes the new reality. According to Hermoso Martinez’s presentation at SAP TechED Barcelona, SAP has achieved over 70 percent regression automation with Worksoft’s code-free robotic automation platform. “SAP’s message about realizing faster ROI and achieving increased business agility with a more intelligent ERP is resonating with customers en masse,” said Lee Constantino, Worksoft’s Chief Executive Officer. Worksoft’s automated business process discovery solutions accelerate SAP S/4HANA projects and ensure high-quality, successful and rapid implementation by enabling companies to execute SAP’s SAFe Agile framework. Worksoft Analyze discovery software helps enterprises capture actual business process execution, visualize the processes, analyze variations, auto-generate process documents and streamline the development of SAP S/4HANA business process tests. According to a recent IDC study, Worksoft Certify test automation helps enterprises shorten project timelines by up to 23 percent, improve quality through a 61 percent reduction of script creation and maintenance, and achieve average cost reductions of $3.55 Million per year via 83 percent full-time-employee reduction in staff equivalent testing. Worksoft’s Global Service Integration (GSI) partners recognize the value delivered and have integrated the Worksoft Platform into their service offerings. Accenture’s Intelligent Enterprise Platform (AIEP) embeds Worksoft Certify to deliver a pre-configured implementation service that features prepackaged, end-to-end services customized for an industry or line of business. Another tier one GSI, IBM, offers Worksoft Certify as a featured component in their IBM IMPACT industry solutions designed to accelerate SAP S/4HANA delivery. Must Read: Why IBM Acquisition Of Red Hat For $34 Billion Is A Win-Win For Both! Worksoft is presently co-hosting a five-city roadshow with IBM and American SAP Users’ Group (ASUG) sharing S/4HANA migration best practices for customers planning the move. GSIs are scaling their workforce to meet the growing demand of SAP customer migrations. Per Gartner’s Competitive Landscape SAP S/4HANA Service Providers report: S/4HANA delivery professionals comprised anywhere from 10-35 percent of GSI SAP trained professionals. 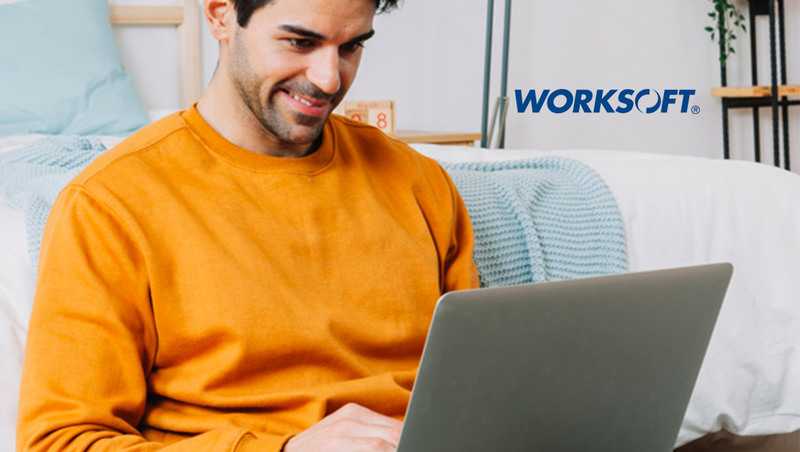 By way of comparison, GSI professionals trained on Worksoft Certify exceed 10,049 as of Oct 2018. “We are just now in the first inning of an exciting and transformative time for enterprises the world over,” said Shoeb Javed, Chief Technology Officer, Worksoft. Worksoft is offering a diverse ecosystem of service providers, software integrations, and machine learning solutions to enable true end-to-end, unattended automated testing of mission-critical business applications, including SAP, Oracle, Salesforce, Workday®, SuccessFactors, ServiceNow, and more. Microsoft, Cardinal Health, P&G, Honda, 3M, Intel, and Siemens are just a few of the world’s leading global companies who have turned to Worksoft to achieve unparalleled continuous testing at scale and realize DevOps and Agile initiatives. Chosen by the world’s foremost Global System Integrators, Accenture, IBM and Cognizant, Worksoft is embedded into their ERP practices to support their Agile, DevOps, and SAFe methodologies and accelerate digital transformations.